Home is where the hearth is! A fireplace not only makes for an attractive focal point for a room, but also creates a warm and cozy atmosphere. However, homeowners should make sure this warm corner is regularly cleaned, thereby keeping the house and family safe from chimney fires. Though it is wise to hire a professional chimney sweep for the job, homeowners often undertake chimney cleaning projects to improve their indoor air quality, prevent devastating fires, and save a few dollars. If you are planning to clean your chimney and fireplace, here are a few tips to consider. When examining the chimney, pay attention to the visual clues that highlight the need for immediate chimney cleaning and repair. Use a torch and fireplace poker to examine the soot build-up in the flue. Large honeycombed-shaped creosote formation, soot dropping into the firebox, and smoke accumulating in the room are indications that it may be time to clean the chimney. Further, inspect the roof and the chimney for cracks, obstructions and bird nests. Chimney inspection jobs are best entrusted to reputable chimney sweep professionals. They’re experts at detecting potential issues and offering the most suitable options for repair. In fact, the Chimney Safety Institute of America (CSIA) encourages homeowners to get their chimneys inspected annually. In wood-burning fireplaces, issues such as cracks in the chimney structure, masonry damage, and excessive creosote formation often go undetected. If ignored, these issues can cause hazardous chimney fires, posing a huge threat to the lives of the residents and damaging the chimney structure. Cleaning a chimney can be a DIY job; however, it is wise to get your chimney inspected by a local chimney sweep professional who can examine the health of your chimney and point out the hazards. Further, you will require safety gear and tools for reducing the mess in your house. Use the items shared below. 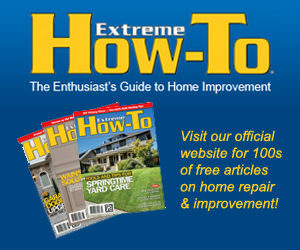 The above-mentioned tools are available at all home improvement and hardware stores. Sweeping the chimney from the top will push all the soot, ash, and debris down the flue and into the firebox. Thus, if the fireplace is not fully sealed, the rubble will enter your home during the sweeping process. Therefore, before you begin, lay the canvas tarp over the hearth and cover the fireplace with polythene sheeting. Tape the vacuum cleaner’s hose into the poly sheet, protecting your home interior from the mess. When sweeping the chimney, make sure to protect yourself from the soot, creosote, dust, and the sharp metal brushes. Using safety gear like a dust mask, work gloves, a helmet, goggles, and long-sleeves clothing can help you stay safe during the process. When working on the roof, you will need an extension ladder to properly access the inner walls of the chimney. Before stepping on the ladder, make sure it’s resting on a steady concrete surface, reducing the risk of falls. Also, request a family member or friend to assist you when you are on the roof. Remember, cleaning and maintaining a chimney by yourself is a safe project to undertake, provided you take all the precautions. The bottom-up or indoor cleaning method is extremely messy as all the dirt and creosote will fall on the person cleaning and spread to the furnishings in the room. Therefore, most homeowners prefer the top-down method for cleaning their chimney. Once you are ready to go, start by removing the protective chimney caps using the cordless drill. Make sure you keep these screws in a safe place. Next, attach the brush to the extension rod, push the apparatus into the flue, and scrub vigorously. Continue cleaning and adding extension rods until you reach the smoke shelf. When bringing the brush out, keep scrubbing the inner walls of the chimney while unscrewing the extension rods. Once you have replaced the chimney caps, wait for the dirt to settle and get rid of the fallen soot and debris. Sweeping the chimney doesn’t necessarily mean cleaning the soot off the flue and the fireplace. A professional sweep is trained to spot structural issues, measure the efficiency of the chimney, and spot the damages and rodent or bird infestations in the chimney. Thus, if you find this DIY project overwhelming, to get in touch with your local chimney sweep expert who can tailor the service according to the local climatic conditions and topography. For instance, a Seattle chimney sweep will adopt different chimney upkeep techniques in comparison a city away from the sea like Springfield, OH. Count on these professionals to use the highest level of workmanship and modern equipment to inspect, sweep, maintain, and restore your chimney. Cleaning and maintaining a chimney is a tricky endeavor. 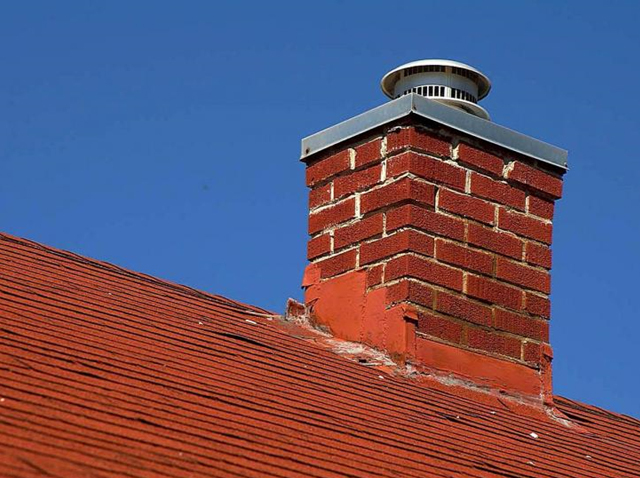 Apart from getting rid of the soot, one needs to pay attention to the structural issues in the chimney, the creosote formation, and other damage. If you wish to undertake this challenging endeavor, use the tips shared in this post to maintain your chimney in top condition and protect yourself from potential hazards.